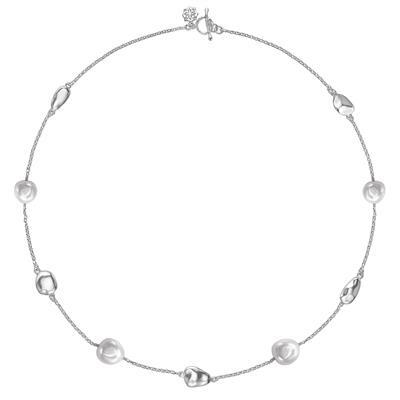 This stunning Dower and Hall necklace is adorned with sterling silver pebbles and white freshwater pearls which are dispersed along a fine chain. The necklace features Dower and Hall's signature hammered loop and T-bar clasp. Pearl sizes are irregular shaped and pebble sizes vary.